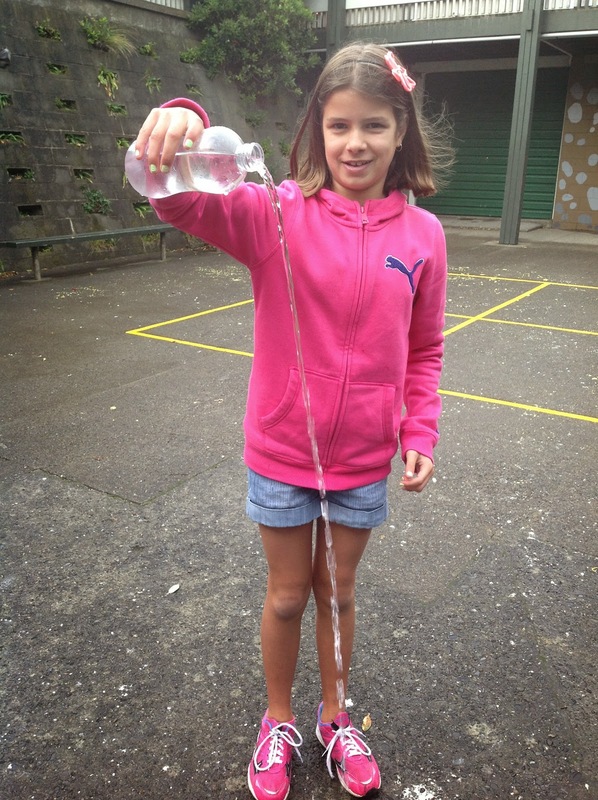 On Monday afternoon, the first day back at school, we went to Room One for science and we learnt about the uses of water in all different forms: ice, hot water, tap water and really cold water. In groups we read a story about a hotel made out of ice! They built it using giant moulds and then joined the humongous blocks of ice together. We tried joining pieces of ice together, though our hands froze before we actually got them connected. Really cold Water: The food colouring looked like small rain droplets going down and settling at the bottom of the cup. Tap Water: The food colouring spiraled around in clumps. Boiling Water: The food colouring expanded almost immediately. A question we were left with was what would the food colouring do in salt water? Thats a really interesting question Liv - did you experiment to find out the answer?